Learning new techniques and styles ELEVATES tattoo careers, clients, and opportunities. But what do smart Tattoo Artists Do these days? If you’re a professional tattoo artist, tattooist, free-lance tattoo artist, apprentice, or any other Tattoo Artist You Need to help all of your clients. And since portraits are becoming the next big thing (if done right) and chances are your client may want one someday, learning how to tattoo portraits is CRUCIAL. When’s the best time to get started? Right now. Don’t wait for a “bribe.” Don’t wait for things to look perfect. 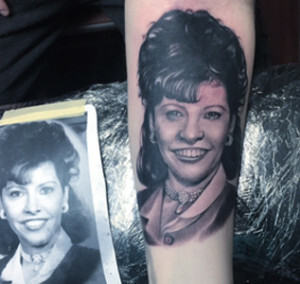 Learn how to tattoo portraits today. Today I’m going to walk you through what you need to do to shade smoothly – and why you need this skill. Are You Struggling with Black and Grey Portraits? To learn more about tattooing realistic portraits, and other great tips, sign up to my exclusive newsletter.